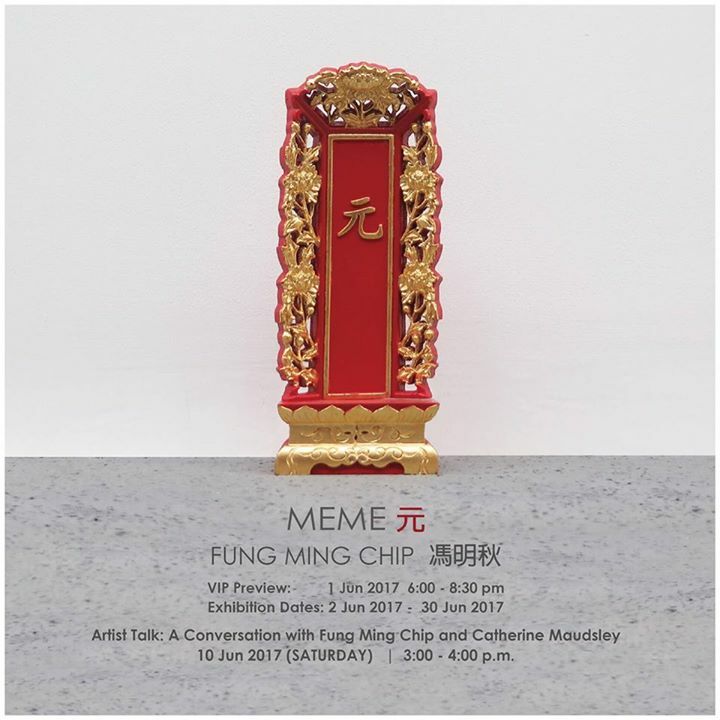 Galerie du Monde is pleased to announce a solo exhibition revealing the continued development of Chinese artist Fung Ming Chip (b. 1951, Guangdong, China). This exhibition, MEME, will provide a comprehensive insight into Fung’s decades-long exploration of the history and philosophy of the written word. Much of Fung’s work has explored ideograms and pictographs – particularly Chinese characters – and investigated how meaning is transmitted in written languages through a combination of form and sound. These ideas lie at the heart of much of Fung’s work, including steles, sculptures, Shu-fa and ink paintings, seal carvings, engravings on mixed media and stop-motion animation in this exhibition. Since he began working as an artist in the 1970s, Fung has repeatedly analyzed the visual and conceptual possibilities of individual Chinese characters by experimenting with lines, strokes, compositional arrangement and materials, respectfully pushing the boundaries of this traditional medium. The works on display in MEME continue this decades-long exploration into the written word, pushing the boundaries even further as – for the first time – Fung is showing large-scale steles. For this exhibition he has created three new large steles and the title piece for this exhibition, MEME. Fung created these works after observing that both Western and Eastern cultures engrave tablets and monuments to salute historically significant events and figures, while Fung has instead created monuments to assert the importance of words. These steles convey both the intimate role that words play in people’s personal lives and the ways in which words are used to order and advance human society. Milestone is a 1.62m high square wooden column carved with multiple Chinese characters, reminiscent of a directional post, set in a round marble base. Each side is engraved with the distances to heaven, hell and the human realm, exploring how individuals turn to words when they’re in search of deeper meaning. Milestone will be presented alongside Female’s Desire, which explores materialism, and Rhythm of the Pain, a large corrugated cardboard free-standing tablet bearing scars, bandages and lacerations. This exhibition will also feature wax rubbings Fung has taken directly from the surfaces of these steles. The title piece, MEME positions the character ‘元’ in the centre of a petite red and gold plaque, similar to memorial tablets found in traditional Chinese shrines. ‘元’ refers to origin, and with this particular character Fung draws attention to how language has changed and evolved over time while the purpose of the word has remained inherent. Like much of Fung’s work, this stele also encourages analysis of the visual nature of language and reflects on the development of the written word from pictographs to symbols and eventually to characters, questioning how these changes have affected meaning. Fung will create a site-specific pictograph mural on the gallery walls. These pictographs also appear in Fung’s wood seal carving works, creating a dialogue between the two media and a thought-provoking space for the audience to rethink the meaning of words.